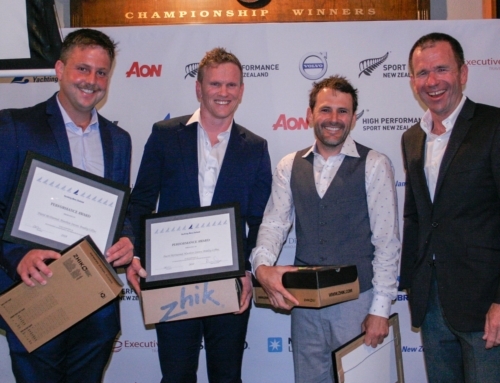 Eli Liefting and Rose Dickson finished second overall at the 2015 Inaugural NZL National Feva Championship, but this year, they claimed the title with six guns from seven races. Their worst result was a second in race one which they were able to drop. Liefting and Dickson have put in some solid training hours, with both turning up numerous days during the school holidays to spend time on the water practicing their Feva skills. “We were geared up for spring winds on the final day of racing, but as the day went on, the wind died. We were really happy with how we sailed, and it’s great to come away with the win and only having to drop a second,” said crew Dickson. Hamish McLaren and Henry McLachlan claimed third place, which is a step up from their 2015 result where they finished fourth overall. McLaren and McLachlan have been juggling their Feva sailing with Optimist and school sailing, so to come away with a podium finish is a testament to how much these two sailors have improved over the last season. RAYC Feva Team. Photo by Sue Dickson. Royal Akarana Yacht Club had a strong contingent at the championship which was hosted by Wakatere Boating Club. Of the 23 boats entered, seven teams (14 sailors) from RAYC raced and have had a fantastic season sailing the Feva class boat. Elizabeth Hayman and Poppy Hoskin were 20th after day one of the regatta, but managed to fight their way up the leaderboard to finish 14th overall. “We had a super good regatta and have learnt so much! We can’t wait to do more racing!” said Haymam. Competing in their first event regatta was Cameron Todd and Danny Su who finished 17th. Todd and Su have been getting in some private coaching sessions ahead of their regatta and although they hoped to place better, were pleased with their result. “This was out first time being on a start line with more than eight boats! We thought we sailed really well. We had hoped to place a bit higher but we learned heaps and will definitely be back for more,” said Todd. RAYC Club Coach Nathan Laurie was proud of his teams achievements. “I am super proud of all the sailors from Akarana. Each and every one of them sailed a great regatta in tricky conditions. 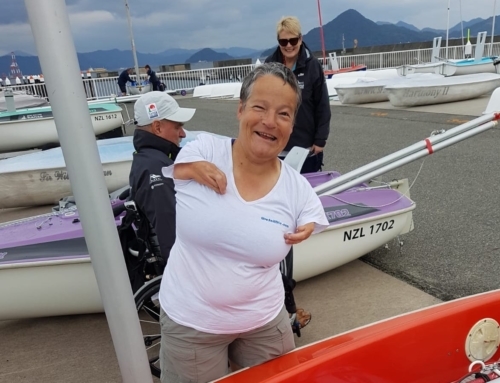 The hard work they have all put in over the past months has paid off and I can’t wait to see where sailing takes them,” said Laurie.